How do I finance a JDM car? Financing a JDM car is easier than you may think. Most banks won’t give an auto loan for a 25 year old vehicle; Navy Federal and USAA are a few examples of banks that do. Call your bank to find out if they can help or… the simpler solution is to follow the steps below. Step 2: Apply directly through them. Tell them you’re getting pre-qualified for a Montu Motors vehicle. *Note: Woodside Credit: Minimum loan of $10,000. Requires 5 years of credit history and no bankruptcies, foreclosures or repos. 700+ FICO Required. *Note: JJBest has no minimum loan amount. Requires a history of at least 1 auto loan. *Note: LightStream has no minimum loan amount. Requires good credit. No auto loan history required. Can I place a hold on a car I am interested in? Why 25 year old cars? Does California have any state specific restrictions? What cars can be imported? If you want a car imported that’s less than 25 years old; it’s a VERY pricey and lengthly process which requires rigorous modifications and crash testing. Feel free to contact us if you won the lotto or have a lot of money to spend. Can you source a specific vehicle for me? YES! Contact our sales team to inquire about special requests. Or you can visit our Car Hunter for more info. How do I register my new JDM car? 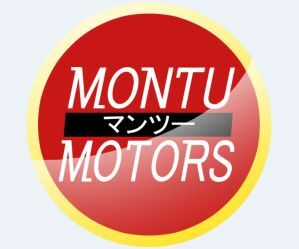 Montu Motors is a licensed, bonded, and insured dealer. We don’t just import cars, hand everything over and say “Good luck!”. We hand you a Florida title that you can take to your local DMV to register it, as if you bought a used car from a local auto dealer. Along with the title, we supply you with all the supporting documents and paperwork that you would need to make registering the car a breeze. We can also provide temporary tags if you would like to drive the car back to your home state. The prices of the cars in our inventory include all costs associated to picking the car up at our Tampa, FL location. The only additional costs you may have will be sales tax, registration fees, and shipping if you’re not picking the car up at our location. Can you install upgrades prior to pickup? We can prepare your car virtually any way that you’d like. We can do general maintenance upon request, parts installation, performance upgrades, restoration (e.g. body & paint work), custom fabrication, conversion services, wheels & tires, and more! Our sales team will be able to answer any questions related to this for you. Does Montu Motors perform all maintenance on all cars? Each car we import is detailed, inspected, and receives essential basic maintenance. It should be expected there will be pending items considering the age of the car. We normally do not perform all maintenance because our customers are often times particular about the parts brands they want installed on their vehicle. Parts and services we leave up to customers include, but not limited to, oil/fluid changes, tires, belts, clutch, brakes, bushings, etc. Our inspections only get so detailed due to not always having experts on staff..
We always encourage customers to come see the car in person, second best option is to have a 3rd party appraisal / inspection, and finally one of our sales team members can check over the vehicle and take pictures of any requested items. Please be aware your sales team member is not a mechanic so they can only check items directly requested by customer. Anything outside the capabilities of our sales team, we highly suggest getting a third party inspection. Do you have information on the R32 Skyline? See below for a few useful links. If you have more useful links, please email us and we’ll add them. And… We’re BBB A Rated! How to import a JDM car ∴ How to import a Nissan Skyline GTR ∴ How do you finance a JDM car?